SeaWays is a simple enhancement (update) to the Optimus 360 system using the CANtrak display and can use the same heading and position sensor as SeaStation. 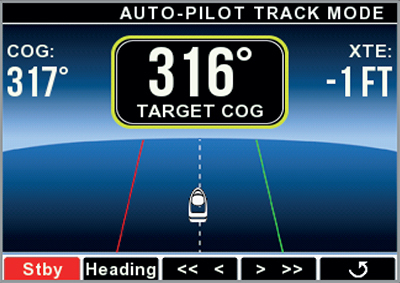 Autopilot holds a desired heading. Boat may drift with wind and current. Autopilot holds a desired course over ground. will be changed by the autopilot to follow the waypoints. Autopilot is temporarily disabled when the helm is turned. 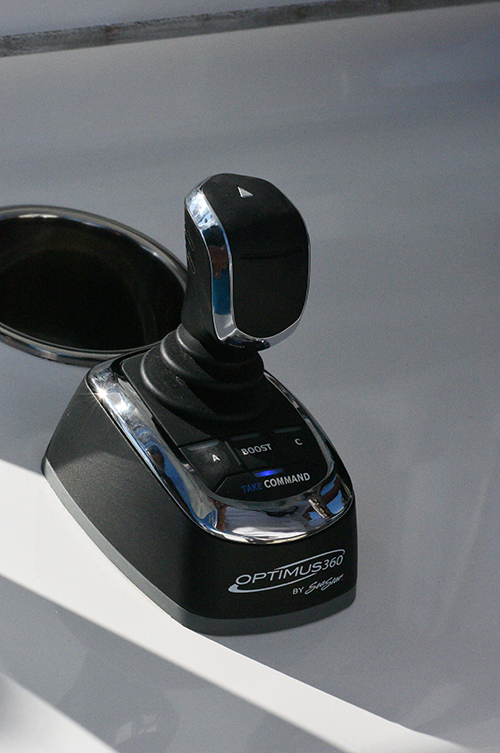 The autopilot re-engages automatically when the helm is no longer turned and the boat heading is stable. When the autopilot re-engages, the current heading becomes the new desired heading. 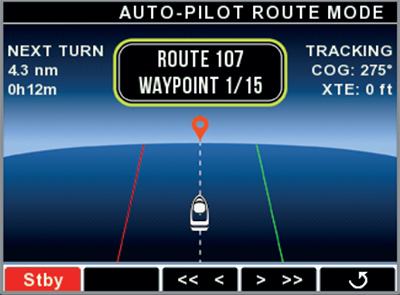 What Makes SeaWays Autopilot Simple? 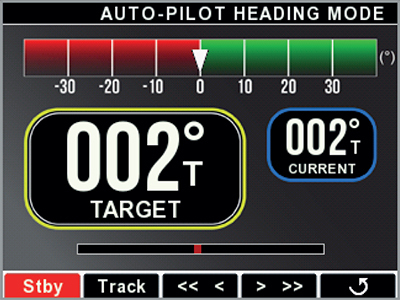 The SeaWays autopilot Heading and Track modes can be activated via the CANtrak display. If you desire Route Mode a third party chartplotter is required for setting the waypoints. Instead of changing your heading via the CANtrak display, can easily change your heading by tapping the joystick to get 1 degree or 10 degree changes in heading. Tap the joystick port or starboard for 1 degree change or hold it for 2 seconds for 10 degree change.